Audacity for Windows XP - audio editor with the ability to digitize analog data. The application supports recording and playback of audio stream from a microphone or line-in, allows you to open digital file formats, convert, export finished tracks to most of the used digital audio extensions. The functionality of the editor allows you to fragment and merge various tracks, add effects from the built-in library, carry out operations to remove third-party noise and artifacts. The program includes tools for spectral analysis and contains a set of audio codecs. 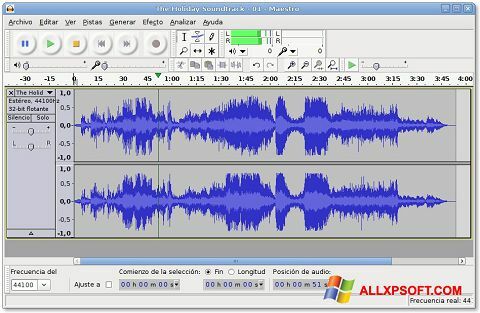 You can free download Audacity official latest version for Windows XP in English.